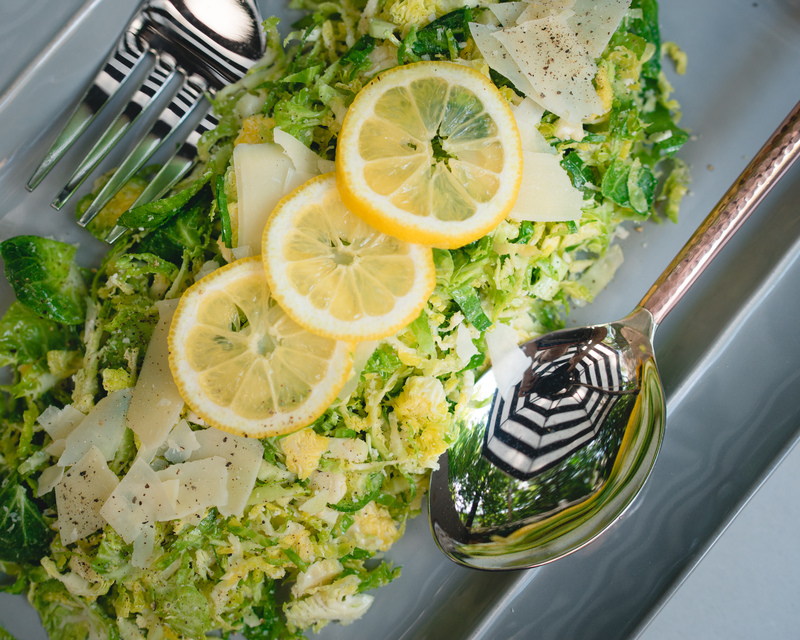 Say yes to replacing the usual romaine lettuce with Brussel sprouts to create a Ceasar salad packed with, protein, fiber, magnesium, B vitamins and so much more! Make the dressing from scratch with simple ingredients like olive oil and egg yolk for a healthier alternative to store bought. It’s so yummy you can even skip the croutons! Wash brussel sprouts and chop off the ends discarding them. Slice brussel sprouts thinly with a knife or mandalin. In a wooden salad bowl make a paste out of the anchovies and the garlic clove using a pestle. Add egg yoke to bowl and mix into the anchovy paste with a fork. Add mustard, lemon juice and pepper. Slowly pour in the olive oil whisking it into the egg mixture until it becomes creamy. Put the brussel sprouts into the bowl and toss around to coat with dressing. Plate and add a sprinkle of parmesan cheese on top.